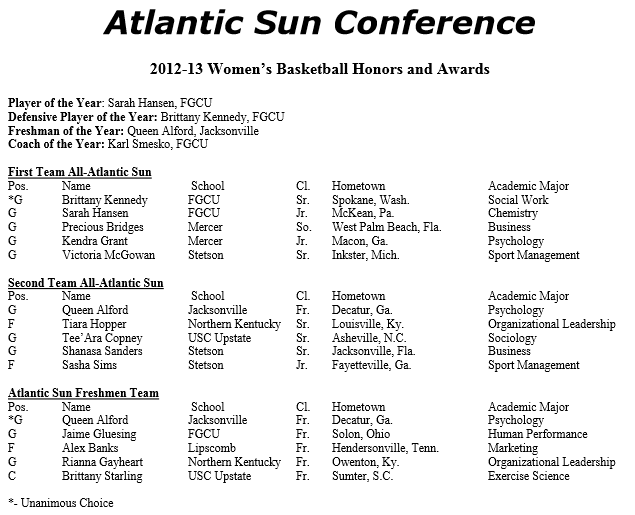 It’s a travesty that Sametria Gideon didn’t get selected for either All-Atlantic Sun team. I guess being the only player in the A-Sun to average a double-double, leading the conference in rebounds, being second in blocked shots and in the top ten in scoring means nothing. She went for 21 and 13 in KSU’s 73-47 first round loss in the Atlantic Sun Conference tournament. Chelsea Mason probably would have made the All-Freshman squad if there was one more spot. 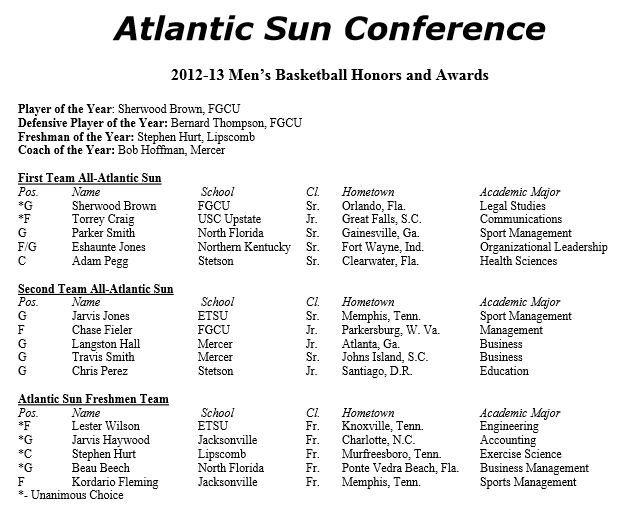 Owls forwards Aaron Anderson and Markeith Cummings were snubbed from the All-Atlantic Sun second team. Anderson and Cummings could have easily been selected to replace Chase Fieler or Jarvis Jones. All four men were worthy but finishing in last place doesn’t help things. The new era has officially begun!